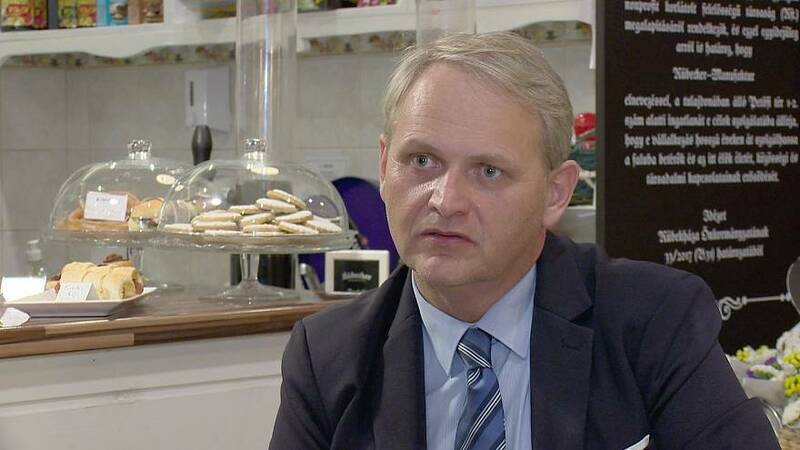 Róbert Molnár: “Today in Hungary, in my opinion, people’s thoughts are ruled over. “So the government always had to have some enemy to fight against and by this it tries to send the message that ‘we are the ones protecting our people from these terrible enemies’. “Currently the instigation takes place against George Soros, because the government noticed that the issue of the migration is not that popular any more in the mainstream media so there is need of another enemy to be created. “In the history of the world we can see that there were other examples of this, for example, I remember as a kid we were told about the “imperialist repressive capitalist great power”, or Hitler stated that the Jews were to blame for the situation of the country, or of the world. “So I think authoritarian, autocratic regimes always need a big enemy “picture” to fight against, to call in the nation to go to war against, but only for the single purpose of distracting the attention from the nation’s own real problems the government cannot solve. “Today that is the case in Hungary, governing by communication, but there is no real act of governing. The healthcare system’s problem has not been solved, the problem of the education system has not been solved, seven hundred thousand people migrated from this country, escaped from here because they do not see a future or hope. “And what is the most painful for me is that Hungary became a country which is bought. ‘Whoever is not with us is against us.’ The government handles those thinking differently as an enemy. “Hence it declared war against the NGOs, the ‘differently-thinking’ part of the population, the young people, yes, at the moment they are enemies. And whoever they can, they buy. They pay down extra benefits, extra pensions for the elders, they buy the church, which received 90 billion forints thanks to the government. The temples got renovated, the walls turned white, although the believers disappeared. “Because those who see these things seriously cannot take part in this system. Those who are “bought out”, they can. “So I foresee a very sad future if we do not make changes, we the population of Hungary. And if there will not be a revolution in our hearts, that will have unforeseeable consequences because this power is unstoppable. And whilst this communication-driven governance is going on, the rule of law is trampled on. “Corruption became the norm, from our nation’s taxes, they want to build a national network of oligarchs, in order to control those making businesses, it is the case today already. the electoral law has been re-written, the election has one round, there is no way to co-operate, the borders of the electoral districts were re-drawn (in favour of the Fidesz). “They have created a party supporting system which sanctions a party which does not send a candidate for an election in an electoral district, they lose a lot of state money. So all and everything happens based on the “screen-play” of Fidesz in Hungary today. “And those not fitting this picture will suffer from “character killing”, or can decide to leave to London and work as a pizza delivery guy. “I have experienced a lot of stories like this, people who said, ‘ok, that’s enough, so I leave the country’. And the problem is that this system chased away the intellectuals, those who wanted to do something, build something in this country.